Existing studies of innovative musical notation and performer collaboration overlap, yet their interface, or mutual influence, remains unexplored. 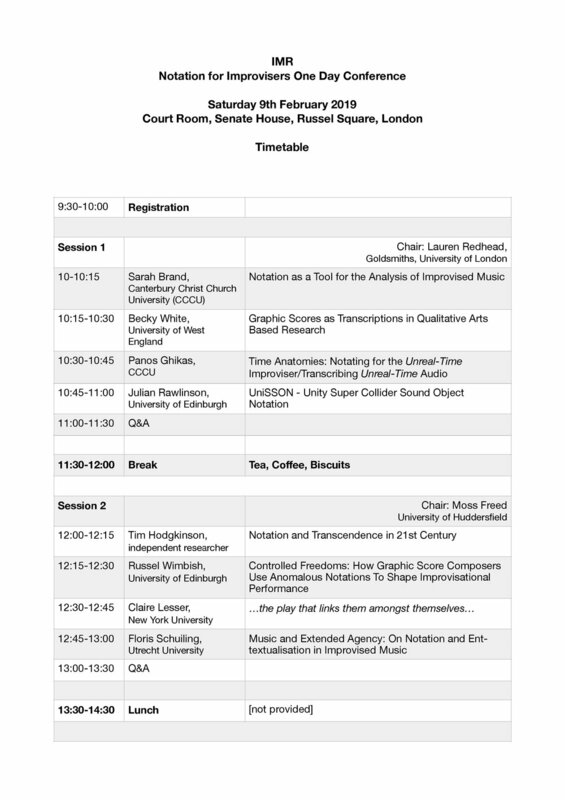 This event will explore notation that enables collaborative processes through its realisation in performance extending from printed media into include audio, video, and digital media and practices such as conduction, live video and audio as notation, and para-notation (the marks commonly made by performers on scores). It will examine the spaces and regions in which collaboration and notation cross-over and mutually influence, change, determine, and restrict each other and argues for a more fluid, or dynamic space for notation. 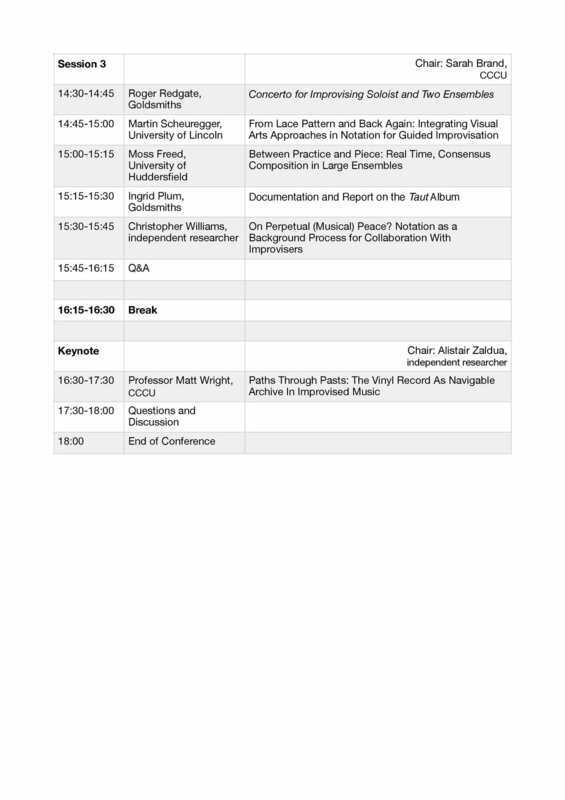 Practice-based research exploring dynamic notation and/or multi-media for improvising performers across disciplines, through composition and performance will also be welcomed. Contributions are invited and encouraged from scholars and practitioners in music and further afield. Dialogue between scholarship, practice and praxis, and between disciplines through inter- and cross-disciplinary work is particularly of interest. ‘Traditional’ conference paper presentations (20 minutes + questions) are possible, alongside presentations in alternative formats involving performance, multi-media or participation. If the latter, full details of what will be needed and what will be provided should be submitted alongside the proposal. The keynote speaker has been confirmed, we are happy to announce that Professor Matt Wright will deliver the keynote lecture. Matt Wright currently works at Canterbury Christ Church University, as Professor of Composition and Sonic Art. Documentation: How might practitioners document and explore collaborative responses to contemporary notation involving practitioners with different disciplinary backgrounds and levels of expertise? Possibilities and limitations: How might the possibilities and limitations of notation be explored and expressed within notation itself? Legacy: What might be meaningful methods of documenting the processes and practices of practice research in this area to ensure the longevity of its knowledge claims beyond the moment of practice? Five small grants are on offer for Early Career Researchers if traveling from outside London, and subject to the distance traveled. If you are interested in receiving one of these grants, please indicate this on your proposal, or email Alistair Zaldua directly. Priority for these grants will be given to researchers who propose a paper, and more grants than five may be awarded if finances allow.